Release Date: 29th August 2013 (TBC). 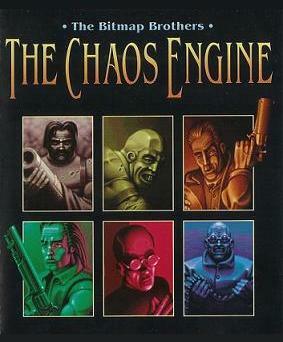 So, why The Chaos Engine and why now? TCE is one of the greatest games of its era. Many of us here at Mastertronic grew up playing Bitmap's games. If you want to play any of these games nowadays, you have to dig out the code and run it through an emulator (or, like one lady we met at Rezzed, you could go in the loft to get your Amiga out just to play TCE). That’s a lot more hassle than a lot of people can be bothered with. Why now? Pure coincidence. One guy in the office mentioned how he’d love to get his hands on TCE, another overheard and said “Oh, I know Mike Montgomery, I’ll call him now if you like”. It all went from there. For clarity, is this a remake or like the recent Baldur's Gate release an enhanced edition? (I worked on the original Baldur’s Gate and haven’t faced looking at it once since the day we shipped it, so I don’t know what they did with the remake…) We are pitching it as a “restoration”. It’s all built on Amiga source code (except the sound, which comes from the CD32 version), so it’s more or less identical. We have added a few little things here and there – a slight graphical upscaling, 16-directional controller support, and most significantly, online co-op. Other than that, it’s the original game. If you just happen to have your old Amiga passwords lying around, they will still work. That’s the level of fidelity that we’re bringing. Have you included any new features that differ largely from the original? Online co-op is the biggie. The save system is less brutal, so you’ll be able to restart a game from your last checkpoint, rather than the ‘every two levels’ system of the original. Graphics and controller as per before, the usual Steam stuff. And that’s it. No new monsters, levels, A.I. routines. It’s the game it always was, on your modern PC. What has been the biggest challenge so far during development? Trying to get the audio working has been the biggest challenge, the Amiga audio just doesn’t cut it now. If you checked out the game with headphones on at Rezzed, you’ll have noticed that the audio was pretty weak. We’re now using the CD32 audio. Same audio, better quality. You're including the original version of the game in the package - is this to keep old, senile retro-heads happy? The package is the original game. If you don’t like the upscaling and the 16-way controller, you can turn those off. It’s our belief – has been from day one – that people want to be able to play The Chaos Engine that they remember on their modern PC. We’ve all seen the HD remakes that have ruined every last good thing about the original. And as soon as we dug out the original code and got those emulators working, it was obvious that we didn’t need to remake anything. The gameplay stands the test of time amazingly well. And come on, who are we to say that we can improve on one of the Bitmap Brothers’ classics? We don’t want to be ‘the guys that ruined The Chaos Engine’. Do you have a favourite character out of the six original mercs? I have a soft spot for the Thug, as he was based on a good friend of mine. But in terms of playable character in-game, it’s the Mercenary for me, the perfect blend of speed and power. And what's next? Any plans to update any other retro classic, and will TCE be headed for consoles in the future? All our focus is on getting The Chaos Engine right. We’ll get the game done right, see how it does, go from there. We would love to do [console versions], but we want to get the PC/Mac/Linux version out there first, see what the reaction is, go from there. Now I’d be lying if I said we hadn’t even considered a few other retro classics, but we’re not working on anything else – for now. 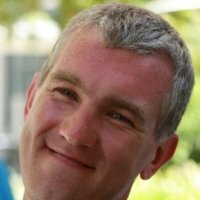 We at The Pixel Empire would like to thank Neil for sparing us his time and for giving such great, insightful answers. The Chaos Engine is slated for release in late August, and we wish Mastertronic the best with the project and in future endeavours.